Note:This is a kit only. all component included but not weld on the pcb board. buyer weld the components on the pcb board as fun for DIY. This is amplifier for DIY fun. only for professional. 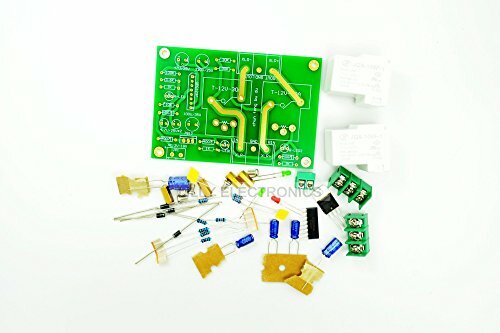 All information has already printed on the PCB board such as where to connect the in and output power, where connect the speaker. if you do not know how to assemble components or cannot read the pinpoint on the pcb board, we suggest you google more information before you buy. this will save a lot of money and time for you. If you have any questions about this product by Lilly Electronics, contact us by completing and submitting the form below. If you are looking for a specif part number, please include it with your message.